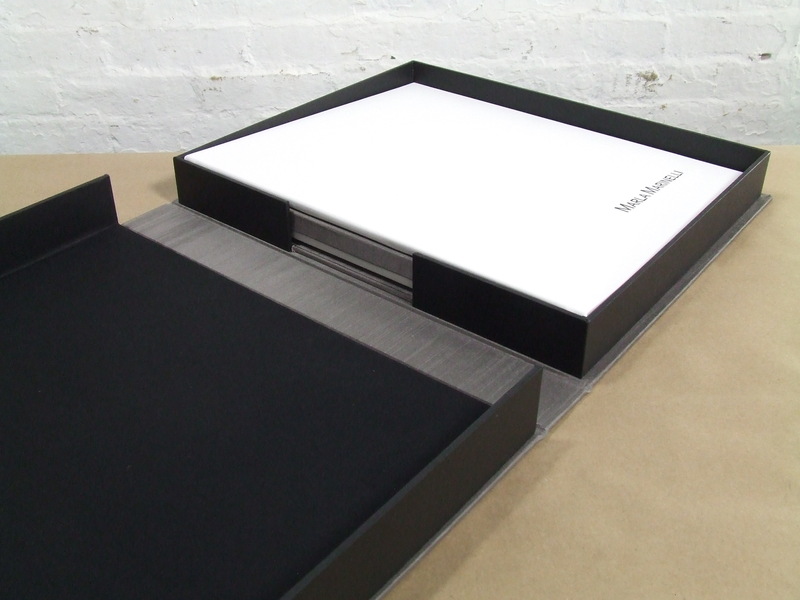 Sleek & Sophisticated – This Full-Case Portfolio and Custom Slipcase was built by Mullenberg Designs for Photographer MAX KLEIN. Long-time friend and Maine-based Artist Shoshannah White came to us for a presentation solution for her encaustic works. Scott came up with this altered 2-Piece Clamshell Box to add a professional finishing touch to her fine art presentation. 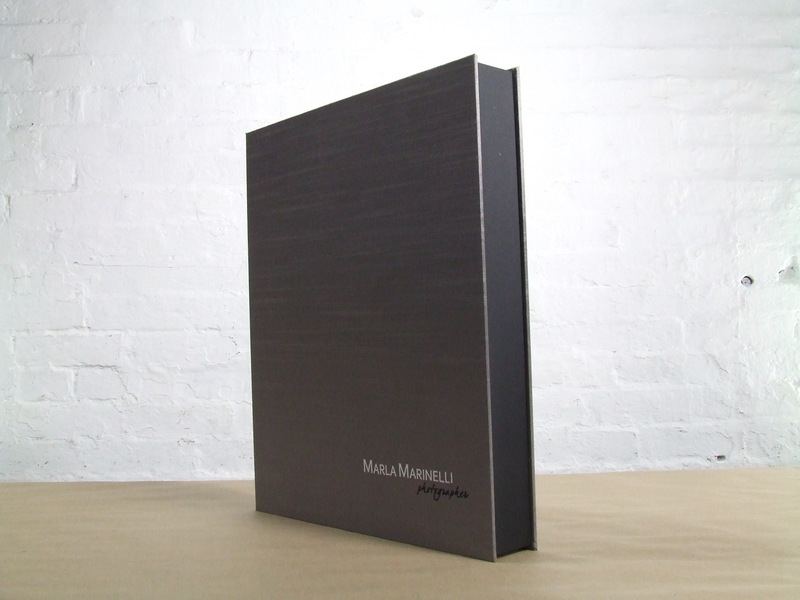 3-Piece Print Portfolio & Custom Slipcase built by Mullenberg Designs for Photographer: Francesco Secci. Open your portfolio and turn to the back. Lift the spine flap to reveal the screw post bindings. Remove screw heads to open binding. Your new portfolio will have 3-5 spacer tabs and optional double matte end sheets. Remove the spacer tabs and drop in your page stack. Use spacer tabs to fill in the depth of the screw posts leaving about an 1/8″ (3-piece style portfolios) or 1/16″ (full-case style portfolios) of the post. Remove your stack. Now you can distribute the needed amount of spacer tabs evenly within your pages. Add one spacer tab after your first page, one in the middle of your page stack and one before your last page. If more than 3 tabs are needed just make sure the additional spacer tabs are distributed evenly within your pages to avoid a visual gap. Replace your spine and back cover (3-piece style portfolios) or spine flap (full-case style portfolios) and replace screw heads. That’s it 🙂 Thank you! The ASMPNY’s Commercial Portfolio Review is right around the corner!